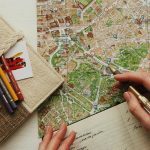 Milan was one of those places where we messed around a little with the accommodation. 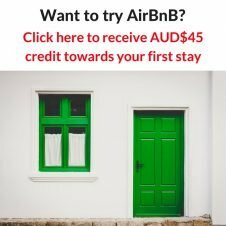 Not because we couldn’t get any this time, but because there were two cheap Hiltons in the area so we took the opportunity to clock up two stays to keep our gold status going. 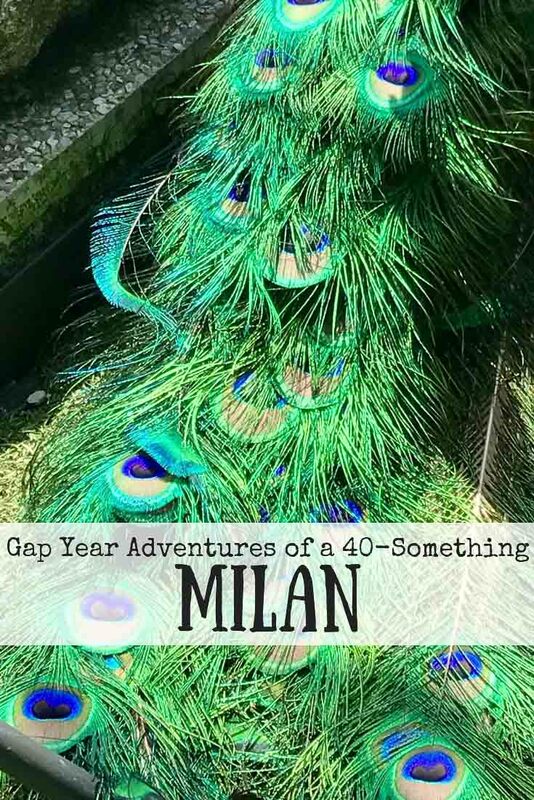 The first one we stayed at was Hilton Garden Inn Milan Malpensa. 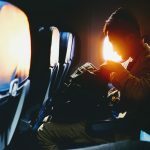 It is located in the small town of Somma Lombardo about an hour north of Milan, but only a few kilometres from the airport. We thought we would spend the day in between our two nights relaxing, catching up on work and boring things like washing. On check in though, we were told we simply should go to the island of Isola Bella the next day since we weren’t flying out. How quickly our plans change! 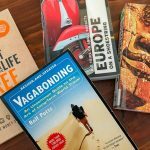 One of the joys of travelling long term, and having days without set things to do means we can take up these opportunities when they come along. 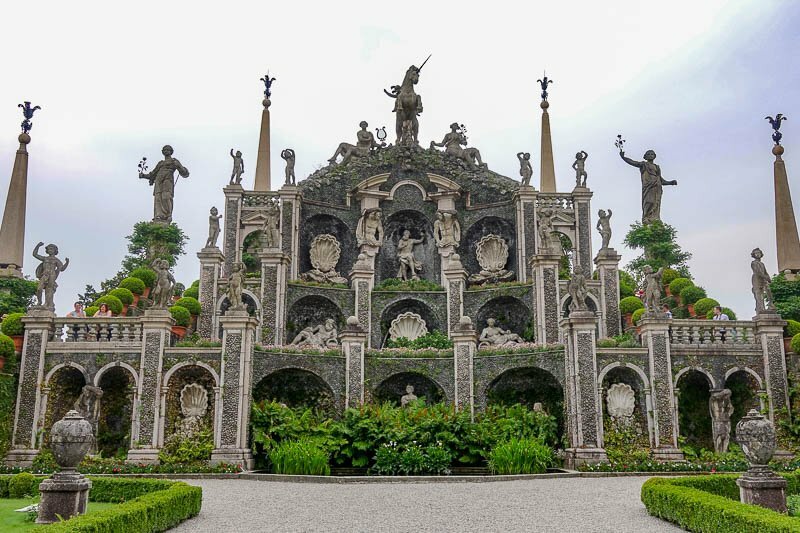 I had not researched things to do in this area, and I had never come across Isola Bella or the Borromean Islands during my reading so we headed off towards the town of Stresa where we would catch the ferry with no expectations. Almost as soon as we got off the train we were impressed! This was a lovely little lakeside resort town that would be perfect for a stay in itself. 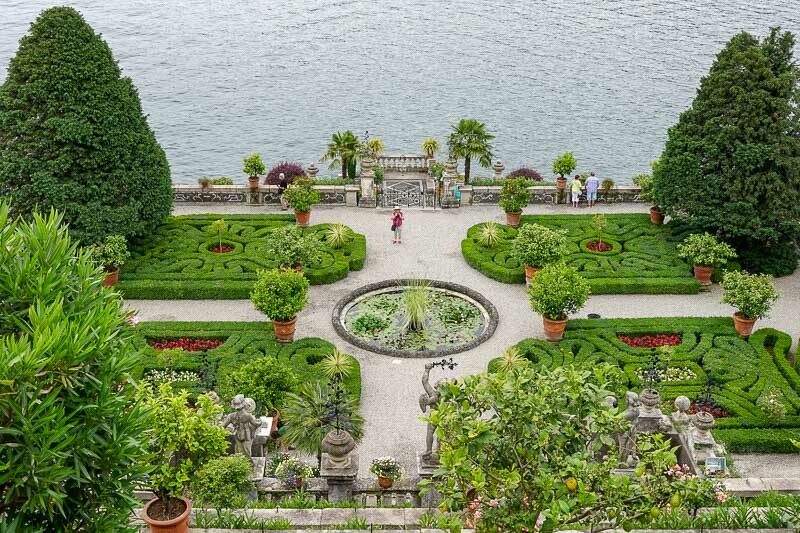 The Borromean Islands are a little group made up of Isola Bella, Isola dei Pescatori (or Isola Superiore) and Isola Madre in the middle of Lago Maggiore. 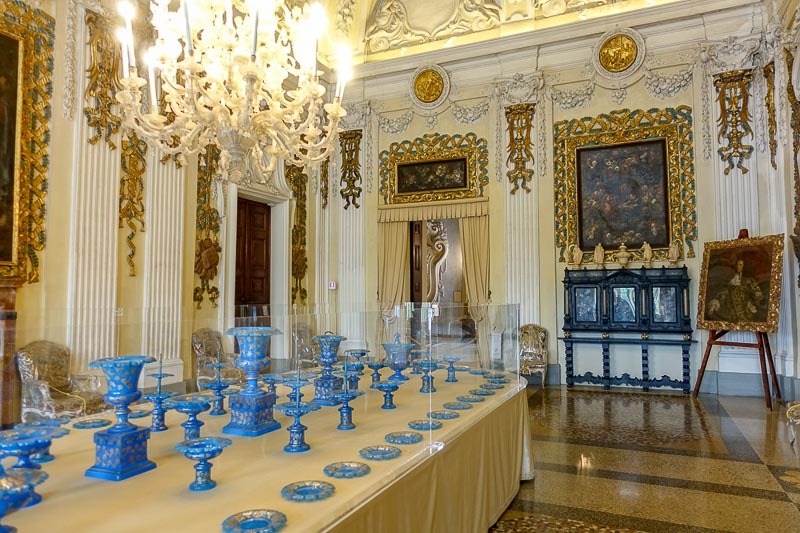 They have been owned by the Borromeo family since the 1500s. 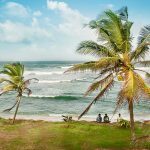 The Islands have had many famous visitors over the years, with even Napoleon and Josephine staying here. 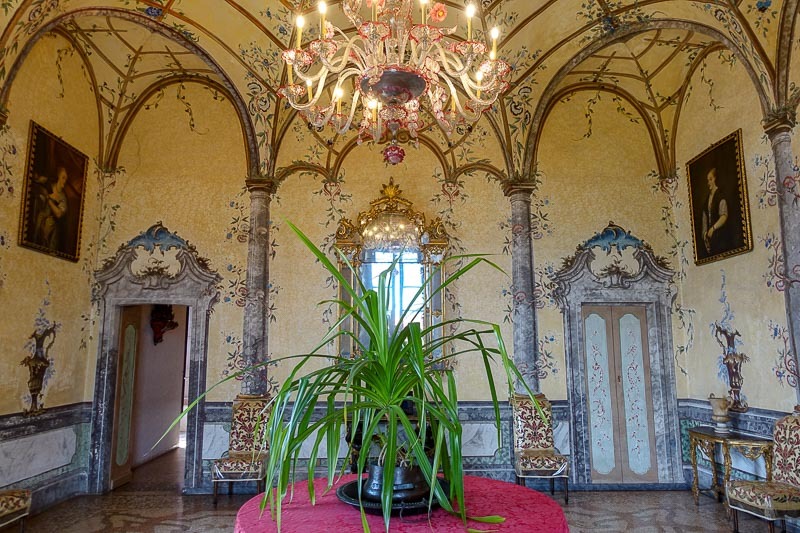 In fact the room they stayed in has been preserved as it was during their visit. After admiring the islands from the shore, we made our way to the ferry to go to the first Island we would visit, Isola Bella. This island has the main palace (for want of a better word) on it. This building has now been turned into a museum, and has some very nice rooms to look through. 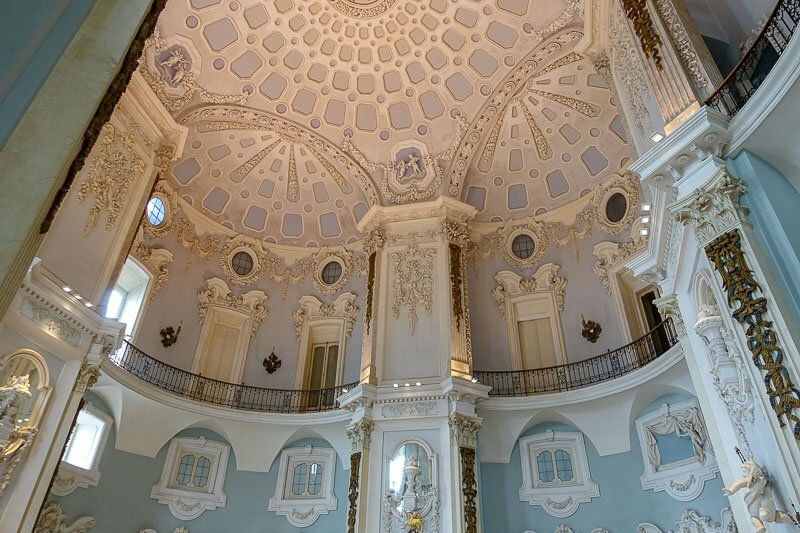 Particularly fascinating are the grotto rooms. 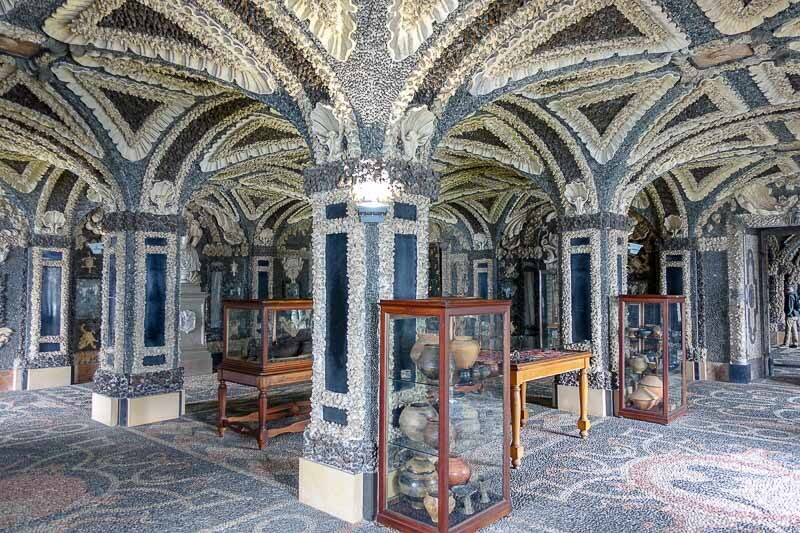 These were used as a summer house, and were entirely decorated – floors, walls, ceilings – with pebbles and shells. As appealing as the house is, it’s the gardens that are really breathtaking. They are not all that big, but have some impressive sculptures. 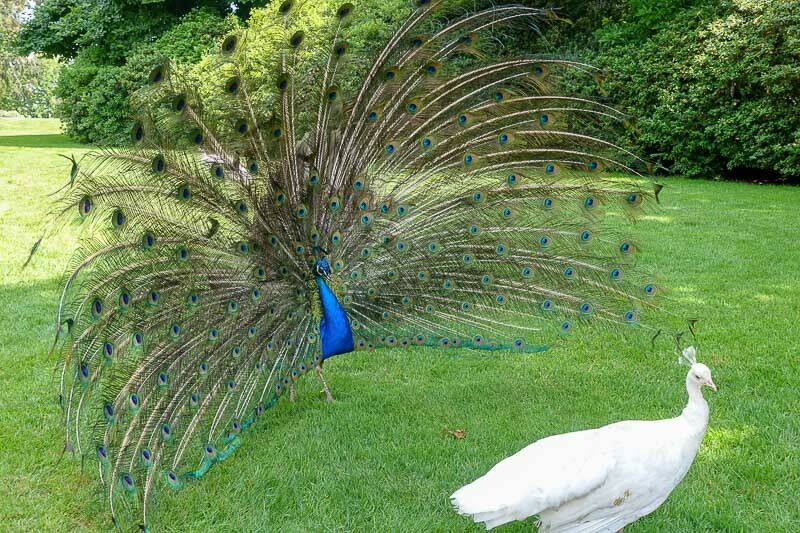 The main attraction though are the beautiful white peacocks! 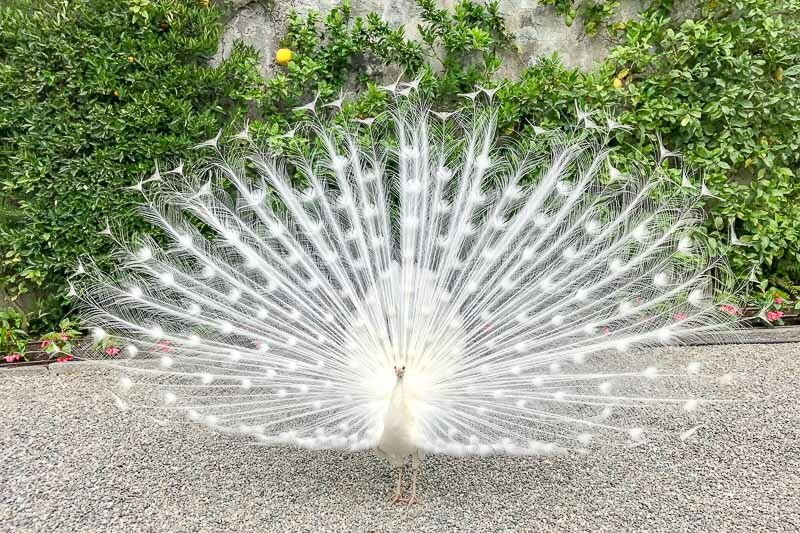 I had never seen a white peacock before, and these were happily showing off. The girls were all sitting around ignoring them, but the crowds were making the most of the spectacle. We spent all of the morning on Isola Bella, so decided to get lunch at our next stop on Isola Superiore. There are lots of places to eat here. Restaurants, along with souvenir stalls, appear to be the only industry on the island. Oh, and perhaps fishing. We picked a place and enjoyed the Italian staples of pizza, salad and a glass of wine. After lunch we walked a lap of the small island, admiring the views across the lake. On the way to the third island, Isola Madre, the sun came out. Here we walked through some more magnificent gardens. We enjoyed the escape from the heat of the day under the big trees. We came across many different birds on the island, including the white peacock’s better known cousin. When we sat down for a coffee at the end of our visit one of the peacocks came and hung around our feet. It was a lovely way to end our visit. We had considered going for a cable car ride up to Motterone once we arrived back into Stresa. It is supposed to give amazing views over the lake and surrounding areas. Unfortunately the wind had picked up and the clouds had come in, so we gave it a miss this time. 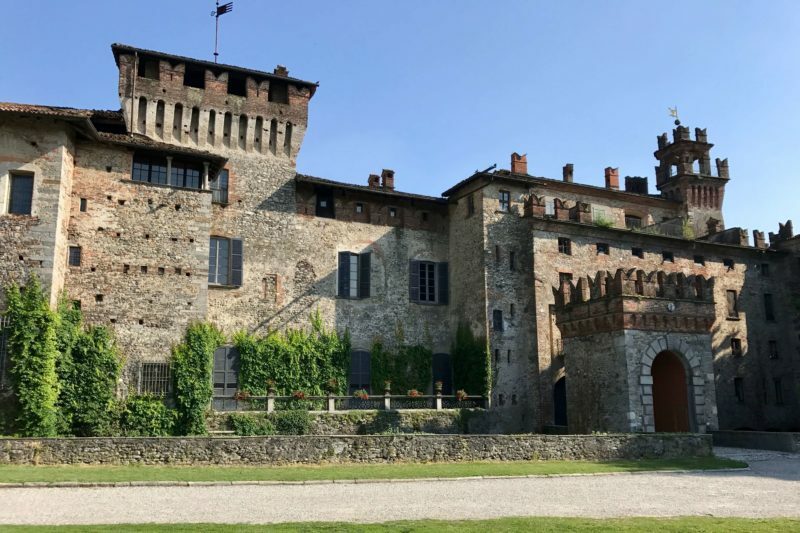 As we arrived back into Somma Lombardo, we took a small detour to have a look at the castle. Castello Visconti di San Vito is a 13th Century medieval Castle. It is in remarkably good condition from the outside, but has very limited opening hours to be able to see inside the castle. From what I could tell, it is open only on Saturday mornings for a guided tour, which is possibly only in Italian. Our next Hilton was another Garden Inn at Milan North. This was another hotel clearly used mainly for conferences. 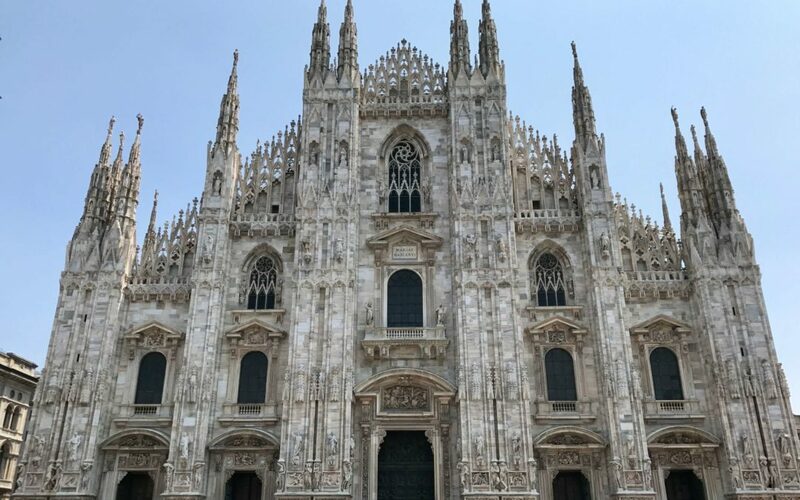 While right on the Metro line, in reality it was really a bit too far out for a quick visit to Milan. There was little to do in the area and there weren’t many shops or restaurants nearby. Having said that, the hotel had everything we needed, and breakfast was plentiful and tasty. To avoid the crowds, we made our way into the centre of Milan early. By 8:30 we were waiting to purchase tickets to go into the main cathedral Milan is known for, the Duomo. We were about ten people from the front of the line, but it still took about half an hour to get tickets. I have no idea why, but it seemed like it took forever to serve each person. By the time we left the ticket office, the line for tickets was down the street. Like many of the big name churches, the Duomo was only slightly less impressive inside than out. We were there on a Sunday morning though, and there were services in action. That always creates a special atmosphere as the sound resonates around the huge open space. 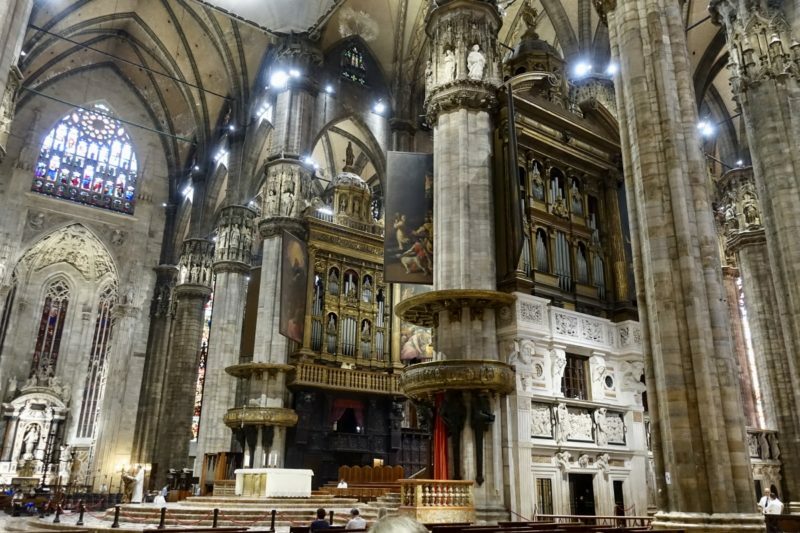 The inside of the Duomo. The person performing the service is dwarfed by the size of the cathedral. 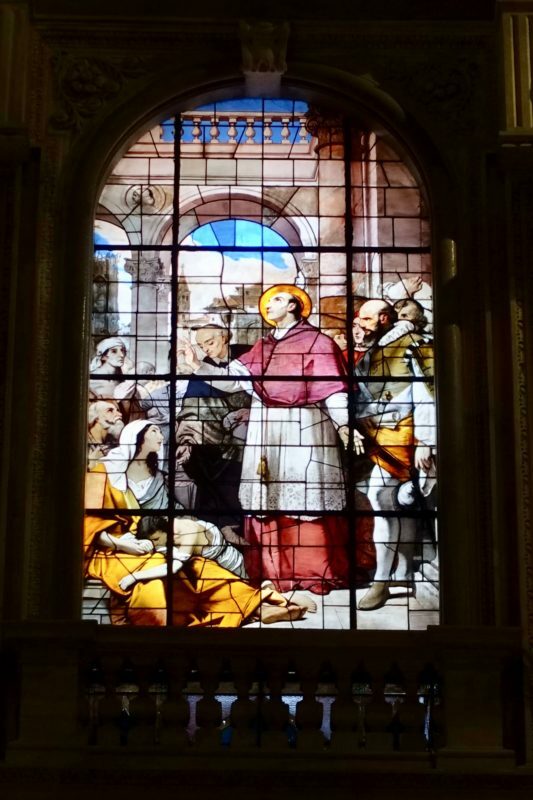 After enjoying the atmosphere inside the Duomo, we made our way across the road to the Duomo Museum. 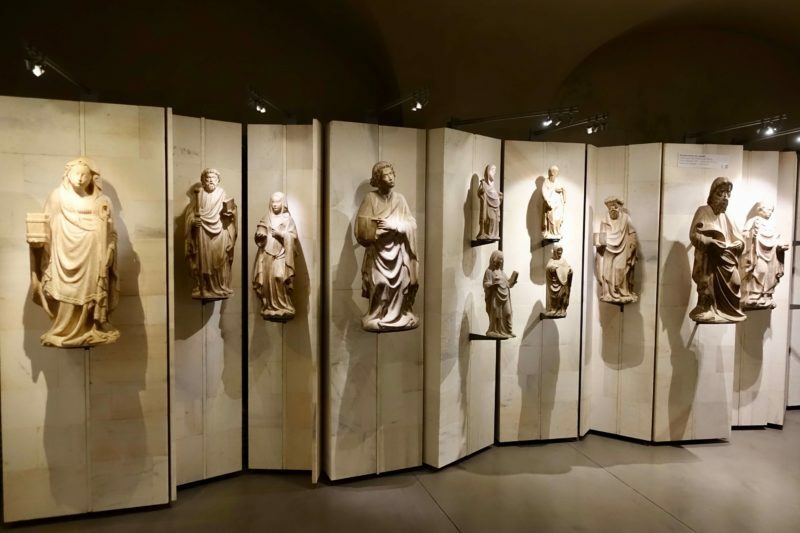 The museum holds hundreds, probably thousands, of items related to the construction and history of the Duomo. 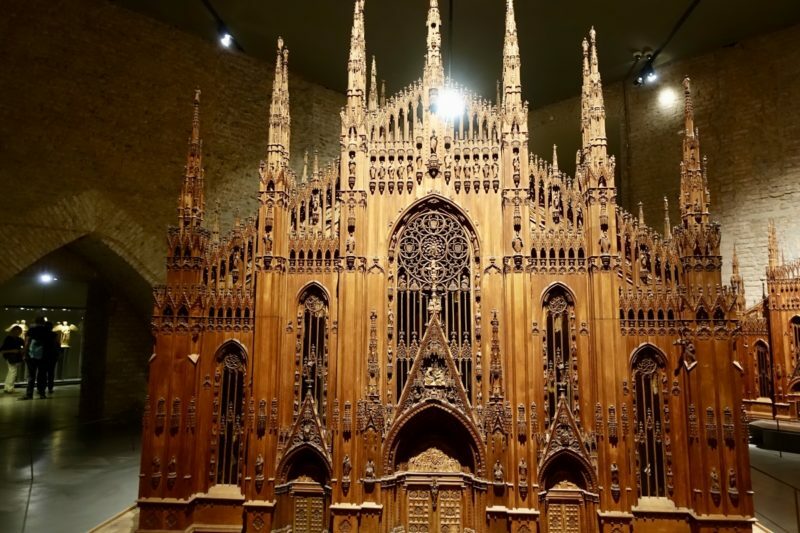 There is a room-sized wooden model of the church, and many sculptures, tapestries, paintings and stained glass windows. This museum is worth a look, but I found myself wanting more information, and there was not a lot to be found, in either English or Italian. Perhaps a guided tour here would be good. 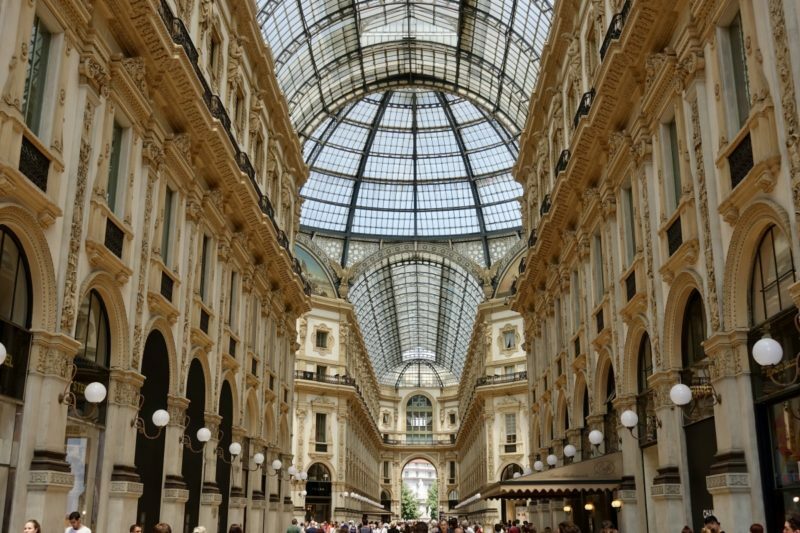 Right next to the Duomo is the famed Galleria Vittorio Emanuele II shopping mall. Maybe others head in there to while away a day in the high end stores, drooling over luxury goods. I just went in to admire the beautiful building. I wasn’t the only one either, there were just as many people taking photographs of the roof as there were enjoying the shops. 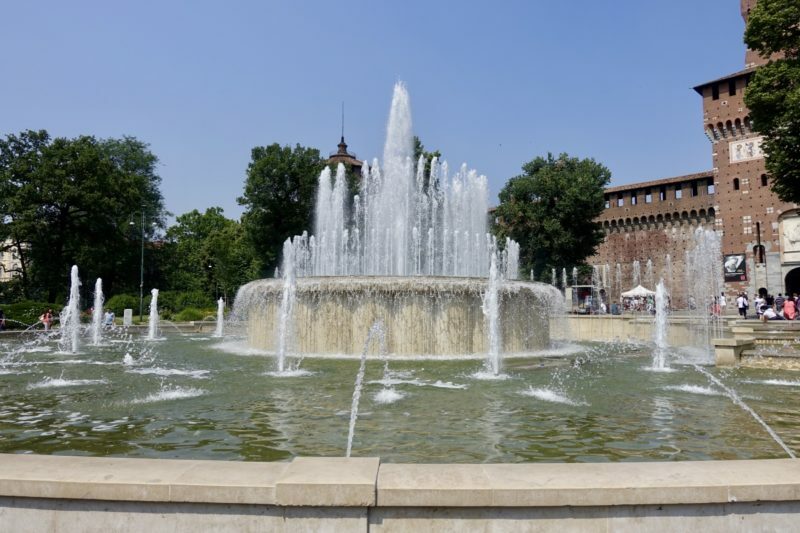 A few minutes walk down the road is Milan’s castle, Castello Sforzesco. We admired the now-dry moat and the impressive castle walls as we passed through to the park behind. The walls of the castle. The moat is now used for ball games. The Parco Sempione is a fantastic outdoor space. As we meandered around, we saw people jogging, doing yoga and sunbathing. Playing basketball, riding bikes and just laying around. Feeding the ducks, practicing sword fighting and even a dog show! At the opposite end of the park is Arco Della Pace. 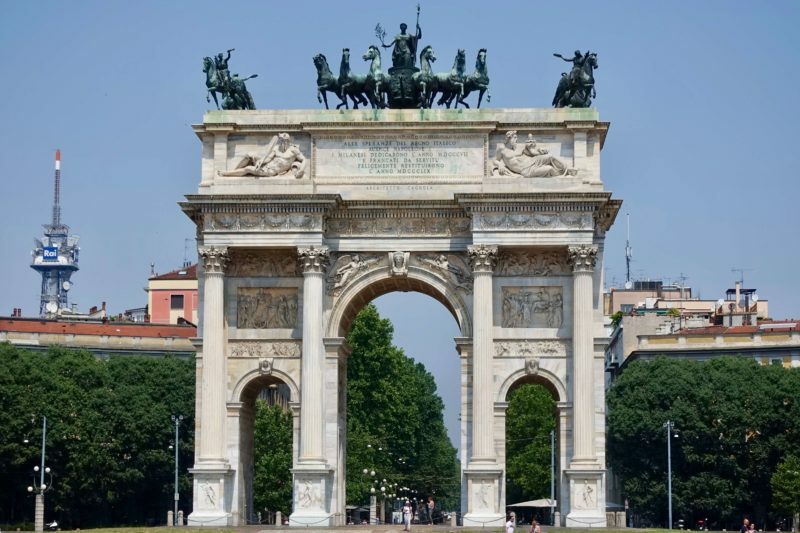 It’s a triumphal arch, much like many others we have seen throughout Europe. 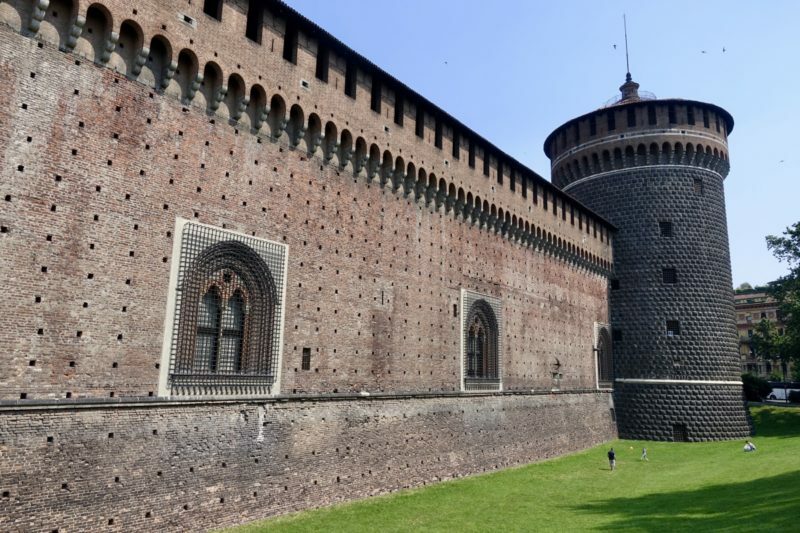 It has been built where the traditional gates of Milan where located. 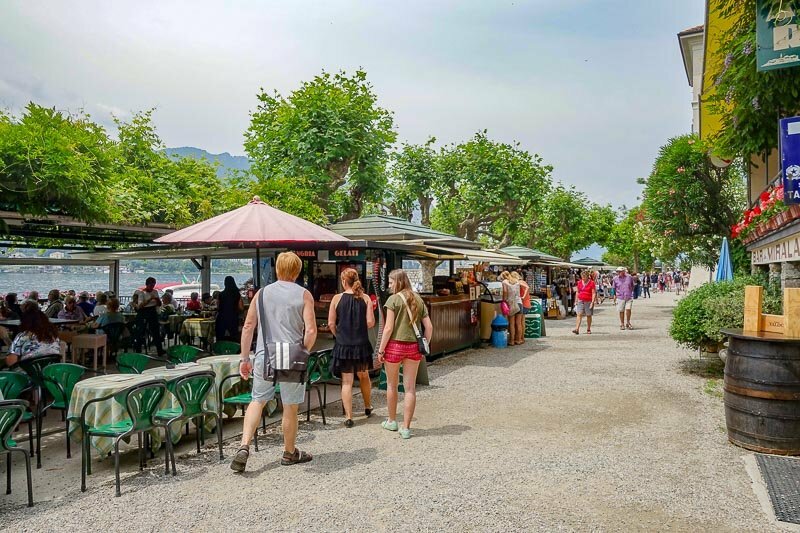 In the evenings the area comes alive with people flocking to the nearby restaurants and bars. After a quick meal, we made our way back to our hotel for an early night, before leaving for our next town early in the morning. I really loved being up near Lake Maggiore. I would like to get back there some time and look around some more. Milan itself I was less thrilled with. Maybe I have been to too many Italian cities one after the other, I am finding they all are becoming similar. Getting around was easy by train. Both the regional trains and the Metro were easy to use. Just be careful on the Metro though. The tickets for the city don’t go all the way to the ends of the lines. We discovered this as we were gong to one of the outer stations to change to a regional train. Luckily the bloke we were talking to spoke about as much English as we did Italian. In the end he just waved us out of the gate – I think in frustration. The €0.60 we had short paid wasn’t worth the hassle! 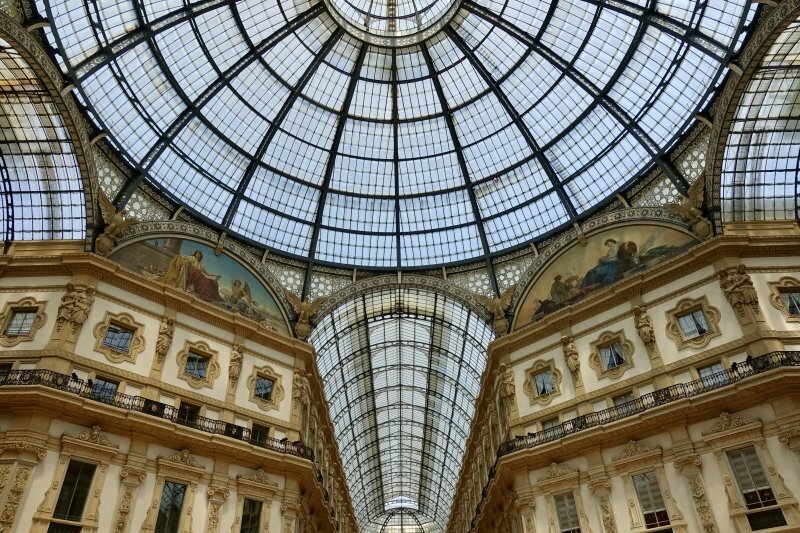 Milan was one of the hardest places to find free wifi. Actually, that’s not entirely true, there is free wifi in some of the public spaces, but we couldn’t get it to work. We also noticed that even McDonalds right near the Duomo didn’t have wifi. We didn’t *need* wifi, so didn’t spend a lot of time trying to find it. Some of those places bring back memories of their impressive architecture. 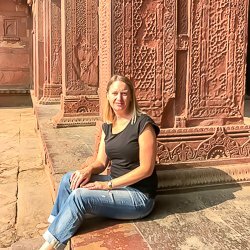 We were lucky enough to tour the roof of the cathedral, a place of wonderful views and myriads of individually detailed sculptures. Bit hard on the legs, though. Lots of steps. Nobody in our group looked into the Galleria shops. But we all craned our necks to gaze at the glass roof. Had an amazing dinner in some tiny courtyard restaurant. If there’s one thing the Italians do well, it’s good food and drink! 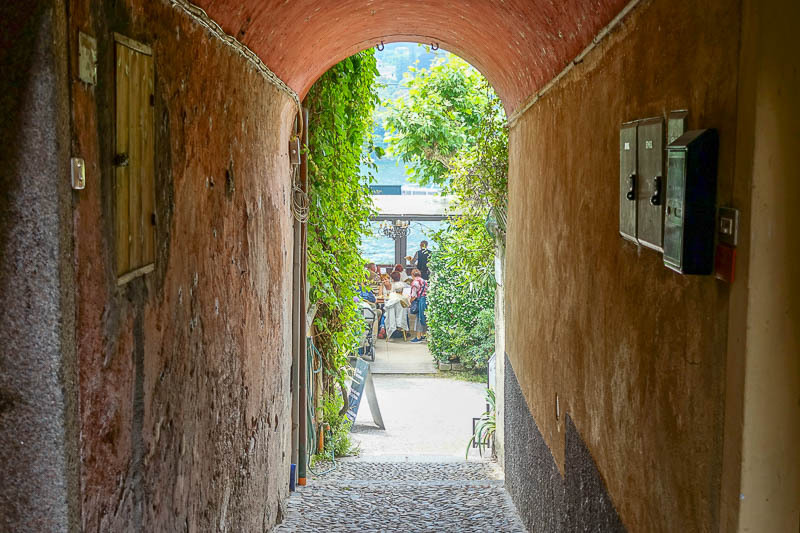 How did your Italian progress during your visit? My Italian progressed a tiny bit. I had an app I was using to learn the basics a little each day. No one would have understood me, but I was starting to pick out words, especially when they were written. A couple more weeks and I might have been brave enough to try to speak basic sentences. Alas, that will have to wait until our next visit. Thank you Carol. 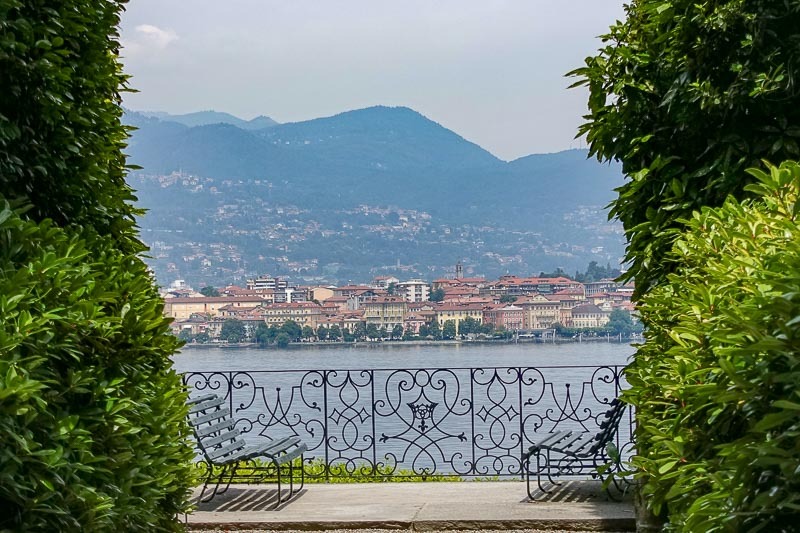 Keep an eye out for a whole post on the Borromean Islands coming soon with some more photos!